And if I still have time left over, design a photo book for our 2013 road trip. Ok, yes, I really am that bad at getting dedicated event albums done. So so bad (please tell me it’s not just me?). So this is me, saying GET IT DONE. A lot of these, a day or two will knock out. A couple of others will take more time. 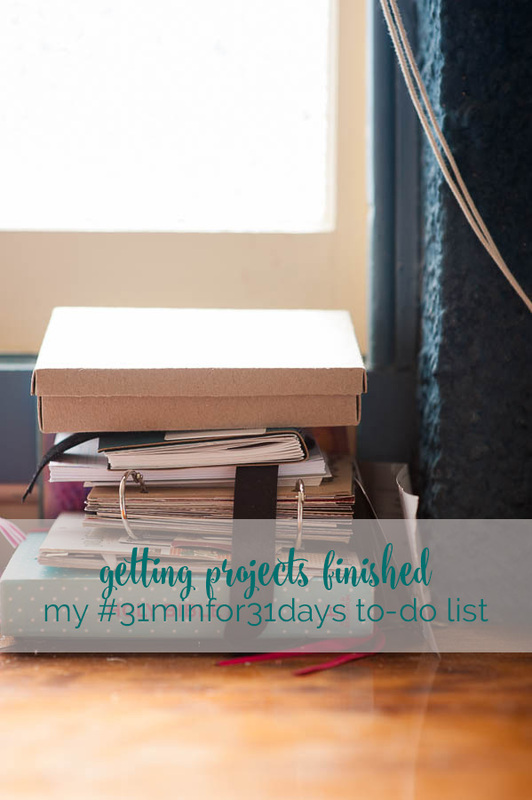 But a lot can be achieved in 31 minutes a day, so I’m going to give this entire list a red-hot go. I will be coming back and updating this list as I go, and I’m going to write it in BIG LETTERS in my project bullet journal. Totally doable, right? Nothing like aiming big! Day five and I am 2.5 hours behind…surely the family won’t notice if I disappear for the afternoon on a public holiday, will they?